We didn’t see anything but all praises during the Windows 10 launch week. As we move forward from the initial launch hype and more consumers adopt the new operating system, there are several issues coming up on the online forums. 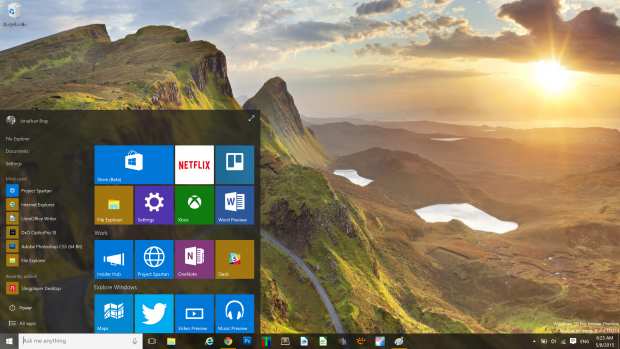 One of the most annoying problems is the slow boot-up that users experience in Windows 10. Don’t worry though as there are some fixes that would help you speed up Windows 10 powered machines. Windows 10 might be affected with the slow boot-up issues but before you make the decision to downgrade Windows 10 to Windows 7, 8, or 8.1, here is what you should try to speed up Windows 10. While some report Windows 10 slow boot-up time is due to the heavy size of the new operating system, it happens more because of the possible malware presence and your startup settings. To speed up Windows 10 boot-up time, try to fix these issues to experience some difference in the boot-up time. 1- Get rid of malware: Once you have upgraded to the Windows 10, run a complete system malware scan or an anti-virus scan to remove malware from your computers. Run Task Manager by pressing and holding the Ctrl, Shift and Esc keys. Check out the impact rating of different startup programs and try to disable all that are showing in the high category. Of course, skip the security related software. This will help you speed up Windows 10 boot-up time tremendously as the operating system wouldn’t have to load up several tasks while starting. Alternatively, you can also reboot your computer and hold Windows Key + R when the desktop appears. Enter services.msc in the Run dialog box. Check the services that appear to prolong the launch up time and set them to delayed start. Activate this option from Control Panel > Power Options. On the left panel, click on Choose what the power button does. You will notice new options under Shutdown settings. Check the Turn on fast startup checkbox > Save changes. Let us know if these tips help you improve Windows 10 boot-up times.